Pono Burger has brought its organic, island-inspired burgers to Venice. Exclusive to this location is a quinoa burger featuring a house-made quinoa patty, tzatziki sauce, lettuce, tomato, cucumber, coleslaw and chef Makani's signature crunch made from house-made Russet potato chips. Pono Burger, The Frank, 512 Rose Ave., Venice, CA 90291, 310-392-6200. Butcher shop and restaurant Gwen, the project from chef Curtis Stone (Maude) and brother Luke Stone, has opened. The restaurant accepts reservations via Tock's website. Gwen, 6600 Sunset Blvd., Los Angeles, CA 90028, 323-946-7500. The former Santa Monica space of JiRaffe has been transformed into a second location of Maré, chef Eric Greenspan's Mediterranean seafood restaurant. Maré, 502 Santa Monica Blvd., Santa Monica, CA 90401, 310-917-6671. Craft Shack (a concept from Simms Restaurant Group) has opened at The Point, the shopping, dining and entertainment destination in El Segundo. Craft Shack, 850 S. Sepulveda Blvd., El Segundo, CA 90245, 310-414-5280. Downtown’s popular Bottega Louie will open a second location in West Hollywood sometime in 2017. Expect another elegant, sprawling venue (over 8,000 square feet) with a patio, a similar menu to the DTLA store, and, of course, a deluxe bakery. Bottega Louie, 8940 Santa Monica Blvd., West Hollywood, CA 90069, no phone. Wild Poke has opened on the Venice Boardwalk, offering signature poke bowls full of tuna, salmon, spicy tuna or tofu. Guests can also build their own bowl and pick from additional toppings like lotus chips. There’s also cold-pressed watermelon juice to drink. Order at the walk-up window and grab one of a few stools, or take your easily portable bowl to the beach. Wild Poke, 1301 Ocean Front Walk, Venice, CA 90291, 310-314-0635. Taiwanese bakery chain 85°C has over 900 stores worldwide, and the 18th U.S. location is now open in DTLA, offering a variety of hot and iced espresso coffee drinks, boba teas, smoothies and bakery specialties. Popular favorites include the iced sea salt coffee, marble taro bread and mango creme brulee cake. 85°C, 700 Wilshire Blvd., Los Angeles, CA 90017, 213-623-1885. Silver Lake Boulevard will be home to Botanica in early winter. Owners Heather Sperling and Emily Fiffer will offer a high-end menu of healthful, vegetarian-focused seasonal fare. The venue will include a patio and market. Botanica, 1620 Silver Lake Blvd., Los Angeles, CA 90026, no phone. Cre8 Crepes has opened in the Hollywood Boulevard space once occupied by hot dog joint Skooby’s. Patrons will find hot, sweet crepes stuffed with the likes of Nutella and apple cinnamon or maple banana and nuts. Cold crepes with mango, peaches, or strawberries plus vanilla ice cream are also on the menu. Cre8 Crepes, 6654 Hollywood Blvd., Los Angeles, CA 90028, 323-468-3647. Adolfo Suaya and his son Kelian Suaya, as well as Ryan Sweeney, Alen Aivazian and Brandon Bradford of Goat Group, have launched The Phoenix on West Third Street. There's a small steak-driven menu, plus dishes like chicken Paillard and grilled Merguez lamb sausage. To drink, pick from an extensive list of scotches, whiskeys, bourbons and cognacs. Cocktails range from the rye-based “Smokey and the Bandit” to a Junipero gin-based Negroni. The space features a pretty outside patio ideal for summer sipping. Dinner nightly. The Phoenix, 8480 W. Third St., Los Angeles, CA 90048, 323-655-5030. Eggslut will open a location in Venice. The concept started as a food truck, then continued to gain a following for its gourmet egg sandwiches with a quick-service counter at Grand Central Market. A Glendale branch is also in the works. Eggslut, 1611 Pacific Ave., Venice, CA 90291, no phone. Palihouse West Hollywood's al fresco hotel restaurant is now Mardi Restaurant, with chef Kris Tominga (Hart & The Hunter, Cadet) helming the stoves. Expect a sprawling social scene and California cuisine with dishes like escargot ricotta toast, black cod and shiitake soup, venison carpaccio, skate wing with brown butter, and shared platters of cumin rubbed lamb spare ribs, slow roasted pork neck and roasted chicken. Mardi Restaurant, Palihouse West Hollywood, 8465 Holloway Dr., West Hollywood, CA 90069, 323-656-4020. Geoffrey Zakarian (Georgie) introduces The Garden Bar, a sophisticated, luxe day and night cocktail spot in the Montage Beverly Hills. Craft cocktails ($16-$22 each) include a Prickly Pearjito and Rat Pack Manhattan. Small bites feature fresh oysters, goat cheese stuffed squash blossoms, ling cod brandade and Ossetra caviar service. Also find an upscale selection of teas, boutique wines by the glass, and craft beers. An outdoor patio overlooks the Beverly Canon Gardens. The Garden Bar, Montage Beverly Hills, 225 N. Canon Dr., Beverly Hills, CA 90210, 310-860-5832. In Silverlake, Burmese restaurant Daw Yee Myanmar Corner is soft open for lunch and dinner. The sister restaurant to Delyn Chow’s acclaimed eatery in Monterey Park features fried Myanmar tofu, vegan samosa soup, national dish mohinga (catfish noodle chowder), garlic noodles with shredded duck leg, and a variety of traditional Burmese curries. Daw Yee Myanmar Corner, 2837 Sunset Blvd., Los Angeles, CA 90026, 213-413-0568. Chef David Schlosser (Urasawa, Ginza Sushiko) has opened Shibumi, a high-end Japanese restaurant in downtown L.A. on Hill Street, focusing on kappo and kaiseki cuisine. The kappo menu is served at a 400-year-old cypress counter, and a separate back room hosts a 10-course kaiseki tasting menu experience. The menu features heritage pork and beef, seafood, tofu and rice, and fermented vegetables. Shibumi, 815 S. Hill St., Los Angeles, CA 90014, 213-265-7923. 71Above will open on the 71st floor of the U.S. Bank Tower in downtown Los Angeles. Chef Vartan Abgaryan departed Cliff's Edge to helm the restaurant. The opening is tentatively set for June 2016. 71Above, 633 W. Fifth St., Los Angeles, CA 90071, no phone. Nest at WP24 host its first ramen pop-up, featuring Hokkaido-style miso ramen with house-made noodles and a broth that takes three days to prepare. The offering comes with sesame, scallions, and bean sprouts and is finished with sweet summer corn. For an additional charge, guests can customize their bowls with seasonal options such as chili-marinated bamboo shoots, market vegetables, and Santa Barbara spot prawns. The pop-up runs just three days: June 30, August 4 and August 25, from 5 p.m. to 9 p.m. Nest at WP24, The Ritz-Carlton, Los Angeles, L.A. Live, 900 West Olympic Blvd., Los Angeles, CA 90015, 213-743-8824. In Culver City, Hanjip has launched an all-you-can-eat weekend brunch, available every Saturday and Sunday from 11:30 a.m. to 4 p.m. The all-new offer (with $19 or $24 options) features a wide selection of premium meats, including chef Oh’s signature USDA prime beef bulgogi and kurobuta pork, a daily assortment of seasonal banchan (such as kimchi, seasoned broccoli, and dried squid), plus rice. Hanjip, 3829 Main St., Culver City, CA 90232, 323-720-8804. Boxwood on the Roof at The London West Hollywood has debuted Rooftop Sunday Brunch, taking place every Sunday from 11 a.m. to 5 p.m. Expect luxe brunch specials including lobster Benedict, duck hash, steak and eggs with smoked Bernaise, and Dungeness crab toast. Guests might pair their meal with an elderflower mimosa or watermelon Bellini. Boxwood on the Roof, The London West Hollywood, 1020 N. San Vicente Blvd., West Hollywood, CA 90069, 310-358-7788. 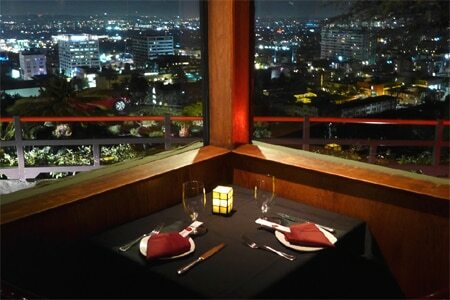 Yamashiro in Hollywood is open under new management --- BNG Group and Sugar Factory. The team plans to renovate the venue in the next few months but will remain open. New executive chef Christophe Bonnegrace (Buddha Bar and Little Buddha, Las Vegas) will implement several innovative food and beverage concepts to be announced in coming weeks. Expect the addition of amenities such as a sushi bar, robata grill, a teppanyaki grill and a new lounge. Extended hours run from 5 p.m. to 11 p.m. on weekdays and 5 p.m. to midnight on weekends. Yamashiro, 1999 N. Sycamore Ave., Hollywood, CA 90068, 323-466-5125. 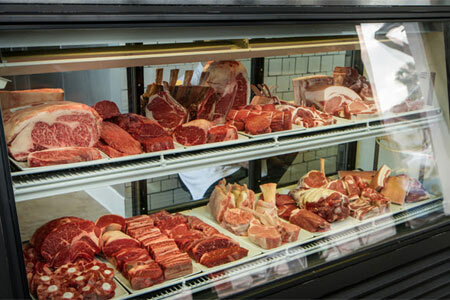 For Father's Day, The Cannibal Beer & Butcher in Culver City is offering a "Grill Out Pack" for six people ($205; $34 per person). Each pack contains two 36 oz. rib-eyes, a 40 oz. pork chop, kielbasa sausages, 2 lbs. marinated short ribs, chili scallion sauce and 12 cans of El Sully Lager. Order by Thursday, June 16th and pick up on Saturday, June 18th or Sunday, June 19th. Orders can be placed via 310-838-2783 or [email protected] Walk-in orders are also welcome. Meanwhile, the adjacent restaurant will serve a beer-focused menu from 5:30 p.m.-10 p.m. The Cannibal Beer & Butcher, Platform, 8850 Washington Ave., Culver City, CA 90232, 310-838-2783. The London West Hollywood has launched summer culinary concept Boxwood on the Roof. In addition to its stellar city views, the rooftop spin-off of Boxwood offers dishes by executive chef Anthony Keene, including king salmon nicoise with a basil pistou; tagliatelle pasta with short rib and wild mushrooms; Black Angus filet mignon with smoked béarnaise; dungeness crab toast with green papaya; and sticky lamb ribs with tikka masala. Boxwood on the Roof, The London West Hollywood, 1020 N. San Vicente Blvd., West Hollywood, CA 90069, 310-358-7788. 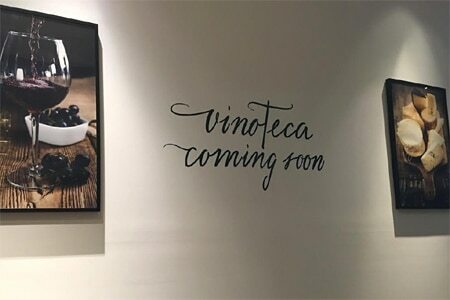 The bar area at Culina Modern Italian is being transformed into a vinoteca that will serve tapas in a casual environment. Look for it to debut in September 2016. Culina Modern Italian, Four Seasons Hotel Los Angeles at Beverly Hills, 300 S. Doheny Dr., Los Angeles, CA 90048, 310-860-4000. Connie and Ted’s has launched a new “Something Special Every Day” menu. Available daily from 4 p.m. to close, Michael Cimarusti’s WeHo eatery offers a rotating seafood-centric special priced from $16-$32, created by executive chef Sam Baxter. Highlights include baked stuffed lobster (Mondays), fish tacos (Thursdays) and cioppino (Sundays.) Beverage director Hoang Nguyen has also selected a supplementary wine, beer or cocktail pairing at a value-driven price. 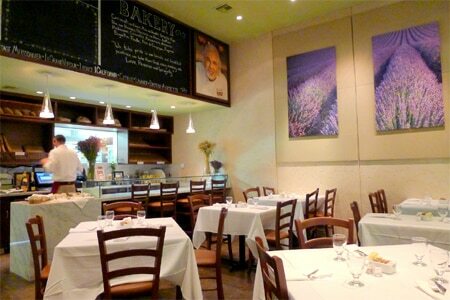 Connie and Ted's, 8171 Santa Monica Blvd., West Hollywood, CA 90046, 323-848-2722. Chef Steven Fretz has left The Church Key due to a rumored dispute with the restaurant’s partners. There is no news on his replacement nor on the chef's next destination. The Church Key, 8730 Sunset Blvd., West Hollywood, CA 90069, 424-249-3700. Chef Andrew Pastore has stepped in at Clifton’s cafeteria in DTLA. He has overhauled the menu --- keeping a few classics --- and created new late-night offerings. Served from 9 p.m.-2 a.m., these options include pizzas, cheese, sandwich and charcuterie platters, as well as chocolate chip cookies and s'mores cupcakes. Clifton's, 648 S. Broadway, Los Angeles, CA 90014, 213-627-1673. Chef Alain Giraud's Maison Giraud will close on July 10, 2016, due to construction on the Palisades Village project. Maison Giraud, 1032 Swarthmore Ave., Pacific Palisades, CA 90272, 310-459-7561. Chef-owner Nadav Bashan has closed his eponymous Glendale restaurant. His cooking at Bashan Restaurant perfectly illustrated how our palates evolve and are constantly searching for better and more innovative cuisines. Bashan Restaurant, 3459 N. Verdugo Rd., Glendale, CA 91208, no phone. Edgy Mexican favorite Corazon y Miel will be closing in Bell on June 19, 2016. Partners Eduardo Ruiz and Robin Chopra will look to re-open in a new location in the future. Corazon y Miel, 6626 Atlantic Ave., Bell, CA 90201, 323-560-1776. Yamashiro, the Japanese restaurant housed in a replica of a Japanese palace in the Hollywood Hills, closed its doors in June 2016. The new owners of the property have not yet announced their plans for the edifice. Yamashiro, 1999 N. Sycamore Ave., Hollywood, CA 90068, no phone.